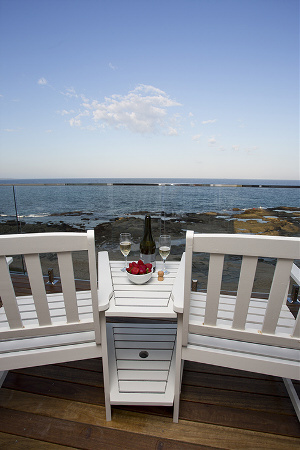 Situated on a cliff face above the rock pools and ocean baths at The Entrance, our 31 spacious air-conditioned rooms are comfortably appointed and have panoramic views of the ocean from private balconies. 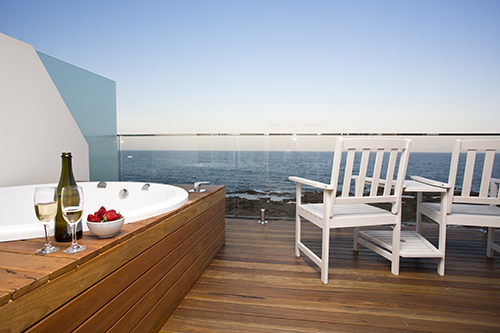 Four rooms have internal spa baths, four rooms have external spa baths. 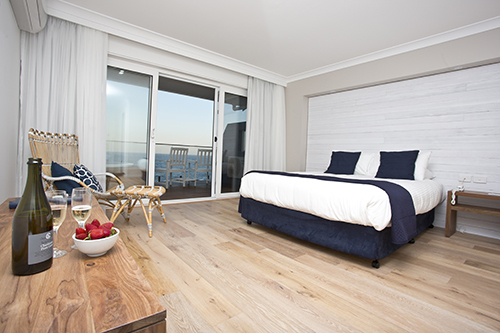 These newly renovated rooms on our upper levels contain a queen size bed. 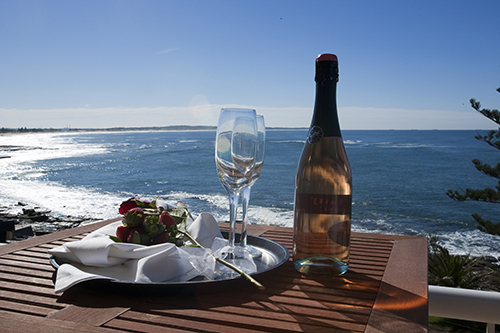 They offer superb panoramic views with a spa bath located on the private balcony. These newly renovated rooms on our upper levels contain a queen size bed. 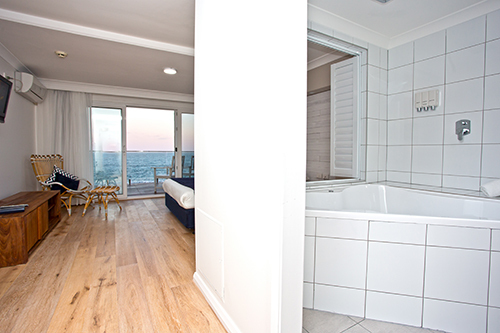 The rooms provide stunning ocean views that can be seen via the balcony or alternatively through shuttered windows that open from your internal spa bath. 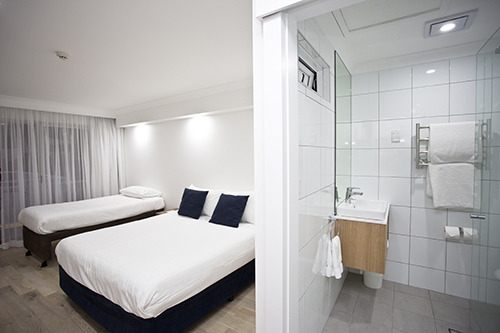 Standard rooms contain a queen size bed and single bed. 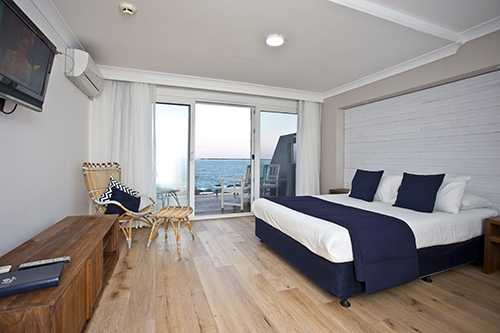 Family rooms contain a queen size bed and double sofa or trundle bed (single bed with slide out single bed underneath). 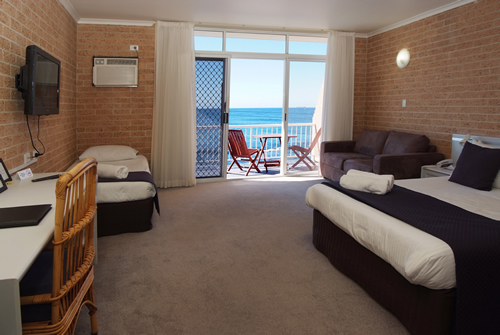 Beach level rooms are the same as family rooms and also have an outdoor timber setting and small lawn courtyard, ideal for toddlers. 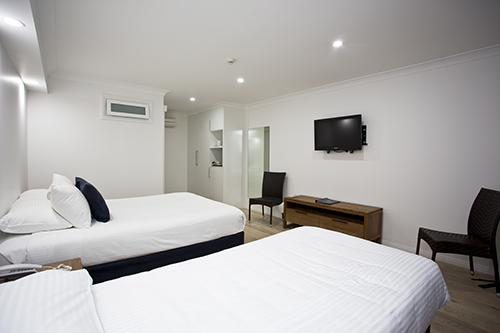 These newly renovated rooms are located on our top level and contain a queen size bed and single bed. They do not feature a private balcony.